Moving abroad doesn’t have to mean moving into the unknown. Different countries have different customs rules, and familiarising yourself with them can be daunting. 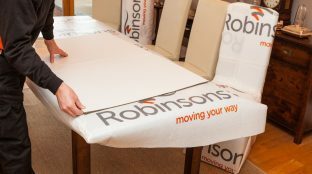 Luckily, Robinsons, fully-experienced staff are trained to guide you through the process. We’ve been moving people abroad since the 1960s; we definitely have the know-how when it comes to paperwork and other custom procedures. Your move will be co-ordinated and managed by a designated Move Manager. As your single point of contact, your Move Manager will be in touch regularly prior to your move date, so that any problems or concerns are picked up early and resolved quickly, so you don’t have to worry about trying to think of everything. If you have concerns regarding borders & customs, why not get in touch? Our friendly, dedicated staff are always happy to help. Alternatively, have a browse through our country-specific customs guides. You can’t take everything with you? If you want to know more about our international removals services, just get in touch and we’ll be able to answer any questions you may have. What Can I Do With The Things I Can’t Take? As a result of international regulations, there are certain things that you may have to leave behind. For a comprehensive summary of the Border Services Agency requirements of your destination, please visit our FIDI Customs Guides section. 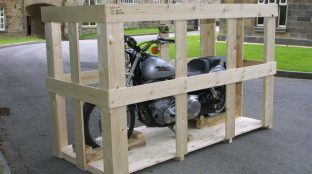 And if you can’t find a home for the items that you can’t take with you, Robinsons offers first-class, secure storage facilities. 8 to 12 weeks for Perth, Melbourne, Sydney, Brisbane, Auckland and Christchuch.